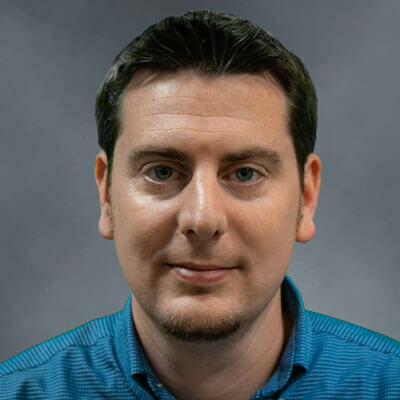 As a successful leader and performance mentor, Evan Darby, now the AVP of Service Desk and Advanced Technology at Enterprise Integration, guides teams of onshore Service Desk Agents and seasoned System Engineers/Developers in delivering industry leading insight and uptime availability to business applications and IT infrastructure alike. With over 10 years of proven results both in the IT space, as well as, managing the customer experience through service delivery at Verizon Wireless, he brings to the table a unique perspective that most career IT professionals cannot match. While at Verizon his team achieved multiple accolades and awards including the top coveted Presidential Thumbprint which signified excellence in service delivery recognized at the Executive level. Evan then moved on to Enterprise Integration where he served as the Manager for Executive IT Support and Application System Administration at CSX. His role there included the oversight and delivery of deskside support to the Executive Team as well as maintaining and administrating CSX’s key business enterprise-level applications used for communications. His experience and expertise in application support as well as strategic corporate initiatives brought Evan back to Enterprise Integration HQ where he serves now as Director in support of all enterprise-level applications, as well as providing oversight to all Event and Infrastructure Monitoring to EI’s expansive client list. With application/system availability at the forefront of his initiatives, Evan’s team employs automation and self-healing to provide industry leading solutions to all of Enterprise Integrations clients.